Albert Einstein said that “Imagination is more important than intelligence!” Books fire that imagination for me! Books make me think, laugh, empathize and take me through a gamut of emotions. I travel around the world from the the comfort of my couch! Here are a few of them which I enjoyed reading. A story of love, suffering and helplessness. Marina is rendered helpless when she is affected by Alzheimer’s. While she has difficulty remembering her children or grandchildren, she remembers clearly the 40 day siege of Leningrad, and how she overcame it. As a museum docent, she helped to hide countless priceless works of art from the invading Nazis, all the time creating a “memory palace” in her mind in which to cherish their beauty. These memories and those of the works of art she saved are juxtaposed with the present, where she regularly forgets her own granddaughter. A very sad, poignant story of an Alzheimer’s patient and how the caretakers the family members stand by helplessly while their loved one’s mind is slowly shutting down on the immediate present. A very touching read. Read another review. This book explores the grey areas in life. Not every situation can be put into boxes of right or wrong. It makes us think and ponder and feel gut wrenching emotions for all the characters. It is a true, but fictionalized story of the last beheading in Iceland. In 1829, Agnes Magnusdottir is sentenced to death by beheading for the brutal murder of two men. Because there are no local prisons, Agnes is sent to the remotest village to await her execution while living with a farming family. The family is wary of Agnes and takes time to adjust to her presence. The farmer’s wife, slowly thawing towards Agnes, comes to hear her story and is devastated when she realizes there is nothing that anyone can do to save Agnes. The story is told compellingly in different voices and makes you feel the pain and the helplessness of the circumstances. Andy Barber, happily married to Laurie and a district attorney in a small New England town, is at a crossroads of his life. He is investigating the murder of a young teen boy, Ben, despite the fact that there might be a conflict of interest – Ben was his son Jacob’s friend, and attended the same school. From here starts the real roller coaster journey! When Jacob is accused of the murder, Andy and Laurie’s world reels. This book explores questions many will never ask. How much do we know about our children? Where does love end, and practicality begin? How do we even begin to imagine what the truth is, whether our child is capable of taking a life… a parent’s worst nightmare come to the fore! What will it take a parent even to accept that it is a possibility? Why is it that when tragedy strikes, all relationships start to unravel? An intriguing piece of fiction where legal implications mesh with family emotions. Read another review. Most of us have read about Malala and may feel we know her story. This book made me think differently. Malala was born to parents who were strong supporters of women’s rights and had a school of their own for girls. Raised with this mindset, Malala was determined to do her part, and her parents supported her decision. All of them knew that Malala’s bravery would ultimately mean facing the wrath of the Taliban when it took over their Swat Valley. Her parents, who knew the danger their child faced every day, made the difficult choice to support her, and Malala chose to stay the course despite unimaginable pressure. You know the story – Malala was shot – but thankfully, she survived to become a spokesperson for the rights of girls to an education. This review is a salute to all the young girls and women who have fought against the Taliban atrocities for the right to a just life and education, and paved the way for Malala to bring their cause to the attention of the world. Kudos to Malala, a brave young girl who took such a bold, courageous step to improve lives of other girls and fight for their right to education! It is rightly said that the strength of human spirit always humbles you! Arkady Renko, Martin Cruz Smith‘s intrepid detective is caught up in a case that he knows he won’t be assigned to investigate. A daring Russian reporter, Tatiana Petrovna, has apparently committed suicide. But things are not always as simple as they appear. Arkady is drawn into the case by his sometimes girlfriend, Anya Rudenko , a photographer for the same newspaper that Tatiana worked for. When Renko starts to investigate on his own, he discovers that Tatiana’s body is missing and her apartment has been “tossed,” as if someone was looking for something–a reporter’s notes perhaps? There seems to be a mysterious missing notebook. Plus the recent murder of a Russian Mafia boss has left the Moscow crime scene clamoring for a new leader. When Arkady finally secures the notebook , no one can interpret it because it is pages of symbols. Then, on top of the notebook mystery, Zhenya, Renko’s young ward steals the notebook and attempts to hold it for ransom so that Arkady will give written permission for Zhenya to join the military. There is no one as stubborn as Renko and one knows that he will pursue the bad guys and somehow get the notebook deciphered. Arkady Renko , one of literature’s favorite detectives, is on the case and Martin Cruz Smith has another winner. One can be assured that there will be many surprises awaiting the reader. It is 1937 in Soviet Russia, Stalin is in power and Alexei Korolev is a detective in the Moscow police department. Although divorced from his wife, Zhenia, he is looking forward to a visit from his son, Yuri. He has six days off and he intends to get to know his 12-year-old son better. But everything planned is about to be turned upside down. The murder of an important professor is going to require Korolev’s undivided attention. Korolev realizes that he must tread carefully because the victim, Professor Azarov, has important connections to the Russian government. With Nadezhda Slivka assigned as part of his team, he heads off to the apartment where the body was found. Azarov was shot in the back of the head, but it is possible that he knew his killer. Because of the government connections, Korolev finds the professor’s colleagues have a natural reluctance to provide much information about him. And then everything is turned upside down again. Korolev is asked to drop his investigation. He assumes the murder has more to do with internal security than just a random murder, and he goes off with Yuri to enjoy some time together, but it is not going to work out. When he tries to get in touch with his ex-wife, he finds out she is unavailable – and two men seem to be trailing him and Yuri. Some horrible secrets are going to be revealed and Korolev doesn’t know if he can stay out of the government’s internal affairs. Ryan‘s thriller reminds me of Martin Cruz Smith‘s tales of detective Arkady Renko, but his thriller can certainly stand on it’s own. It makes me wonder how much different today’s Russia is than the place where Korolev is trying to solve first one murder and then another connected to the same institution. And while many are familiar with the Golden Age of Aleksandr Pushkin’s poetry, contemporary Russian poets largely remain unknown not only to their compatriots but also to international readers of poetry. What a pity, for the great artists have access to a sensitivity that most people do not possess, and great poets have the ability to show us a little more of the world. In other words, Russian poets can help readers better understand Russia and the world of today. But while it’s true that Russian poets receive little attention, it is also true that – since the fall of Soviet Union – they’ve been able to travel internationally – especially to Western Europe, North America, and Israel. And writing programs in Russia and in the world at large have widened exchanges of poetry and deepened understanding. Thus, Contemporary Russian Poetry: An Anthology edited by poets Evgeny Bunimovich and James Kates. The collection contains poems from 44 living Russian poets born after 1945 and gives room to many different movements in Russian poetry. Many of the young and emerging voices are women – Marianna Geide, Anna Russ, and Maria Stepanova to mention a few – and these new voices are quietly passionate, tender, raw, vulnerable, and strong. “You only need to make a move with a wing/ For an oof in the belly; the floor is left/ Far below; my dear ones, farewell,/ Write to me “general delivery”/ – Immortal, forever immortal am I,/ Even Styx can’t stop my flight!”. A new television series called ‘The Americans’ …about embedded spies in the United States reminded me of a favorite book from 25 years ago ….Nelson DeMille‘s, The Charm School. So I picked it up and started reading it again. And it still is just as captivating! Gregory Fisher, an American visiting Russia, goes off the main road leading to Moscow and discovers something he shouldn’t find. He stumbles across an American prisoner, Major Jack Dodson . He relays this information to the American Embassy , but before he gets to meet an agent from the U.S…..he disappears!! The ‘Cold War’ may have ended on the pages of the world’s newspapers but in reality, the situation in Russia has not changed very much. Lisa Rhodes is a Foreign Service Officer attached to the United States Embassy and Colonel Sam Hollis is the American Air attaché assigned to the Embass. Lisa is going to assist Hollis in following up on Fisher’s phone call but Fisher has disappeared! If what Fisher has relayed to the Embassy is true, there may be a hidden prisoner-of-war camp holding Americans captured during the Vietnam War. The Embassy is informed that Fisher has had an untimely death in an automobile accident and is asked to pick up his remains. Rhodes volunteers to accompany Hollis in retrieving the body and soon they will find themselves in the middle of this mystery. Getting back to Moscow may even prove their undoing. DeMille has maintained his expertise in capturing the reader in his world adventures and this book is as much fun as it was 20-odd years ago. The Great War is over, Russia has survived and the end of the Stalin Era has brought some changes… but not necessarily for the better. We met homicide detective, Leo Demidov in Smith’s book Child 44 where his perseverance enabled him to find the murderer of 44 children. The government has tried to persuade the public that crime is diminishing and anyone guilty of a crime is trying to destroy the state. The Khrushchev era has promised changes. But can they deliver? Leo’s homicide unit operates below the KGB and even when he discovers criminals, he must pass the information up the bureaucratic ladder where no one knows the end result. The murder of a small time publisher, Suren Moskvin is Leo’s case and there are some clues that suggest to Leo that this case could be linked to a higher level in the Russian government. Leo’s relationship with his family is mixed. He is close to and loves his wife, Raisa very much but he can’t get close to the older of his two adopted daughters, Zoya. Zoya was old enough when her parents were executed to realize that Leo played a role in their execution. He did try to save them but to no avail and Zoya may never forgive him. Things are changing rapidly as Khrushchev tries to erase much of Stalin’s legacy. Leo has no idea whether this will put his family in danger. Leo has survived one era only to be thrown into the mix of the new era …, as it certainly is not assured of being better times for the citizens of the Soviet Union! Are those who now serve under Khrushchev capable of achieving redemption in this new era or will all who served Stalin be marked for punishment and death? Those who love historical fiction will be mesmerized by author, Tom Rob Smith! Find and reserve this book in the catalog. To Satan, nothing is more ridiculous than the notion that there is no God, so obviously the Evil One finds the Soviet Union a laughable endeavor. A state that claims that religions, myths, legends, and all things supernatural are simply invented in order to oppress the proletariat – what could be more absurd than that? 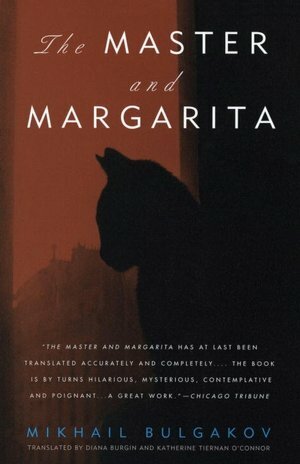 In the 1930s, professor Woland, a black magician, enters the city of Moscow, the capital of Soviet Union, and he encounters the editor Berlioz and the poet Ivan. Woland learns that the editor does not believe in Jesus, and this makes Woland worried, as it probably means that Berlioz doesn’t believe in the devil either. Suddenly, the morning turns to night, the conversation begins to take on puzzling qualities, and eventually Woland claims that a young, Soviet woman will cut Berlioz’s head off. The editor decides to contact a mental institution to see if they are not missing a patient, but before Berlioz can make the call, he falls under a streetcar and his head is severed. The streetcar operator turns out to be – yes, a young, Soviet woman. The Master and Margarita mixes slapstick with profound wisdom, theological depth, and sharp criticism of some traits of the young state. It is a mind-boggling tall tale about satanic ventures, the power of love, and the substance of the arts. Woland is one of the great literary creations of all time, and who or what he is, is up for debate. He appears different to different people and his name has been linked to German names for the devil or a demon (Voland, Faland, etc – Voldemort, anyone?) So perhaps he is Satan. Or Stalin, a foreigner (like Woland) who terrorized the Russians and other Soviet citizens. Or both. And much, much more. Anyway, he’s not alone. He has a few friends and followers. One of them is a cat, Behemoth. He’s big. Huge, actually. In fact, man-sized. And he walks on his hind legs. And drinks vodka. And wreaks havoc in Moscow. So, Behemoth is evidently not only what he seems to be – a huge cat – but he is also something else. And that’s The Master and Margarita in a nutshell. See what my colleague, Sarah K., had to say about this book a couple of years ago, too. Find and reserve this intriguing book in our catalog. Many of my favorite books are debut novels. Russian Winter may well be added to that list. This is a sweeping novel of love and betrayal, and mostly about the secrets that result from a tyrannical government. The novel is set in the Soviet Union during and after World War II, and in modern day Boston. At the heart of the story is ballerina Nina Revskaya. At the tender age of nine, Nina is enrolled in the Bolshoi ballet school, and quickly rises to stardom. Life in Soviet Russia was difficult, and even the advantages of life as a Prima Dona with the Bolshoi were overshadowed by the terrors of Stalinism. At the height of her career she defects, but never discusses her reasons or her past. Decades later, elderly and crippled, Nina lives in near isolation in Boston. The decision to allow her extensive jewelry collection to be auctioned, to benefit the Boston ballet, brings her hidden past crushing down. Drew Brooks, an associate at the auction house, is determined to make this auction the key to her future, and is willing to dig as deeply as she can to learn the history of the jewels. Grigori Solodin, a professor of Russian at a local university, believes that an amber pendent he has is a match to earrings and a bracelet in Nina’s collection. He eagerly wants to see if Nina is the key to his own murky past. Nina’s story unfolds gradually. Kalotay moves her narrative easily between Soviet Russia and modern Boston; between Nina, Grigori and Drew. Each has their own assumptions of the past, and all are surprised by the truth. I have to say that the ending of Russian Winter left me wanting more. But it also left me thinking about the book for days. And that may be the mark of truly good writing. Find and reserve Russian Winter in our catalog. Ivan Smetski never knew he was Jewish. He thought he was just like every other Russian boy in his Soviet village in the 1960s. Now all of a sudden, he’s Jewish, his name is Itzak Shlomo, he’s forced to learn Hebrew, and, worst of all, become circumcised. It’s all part of his parents’ plot to get them a visa to Israel, and ultimately to America. While awaiting their visa, Ivan and his family stay with a distant cousin on a remote farm in the Carpathian Mountains, and young Ivan’s only comfort is his daily jog through the beautiful forests. But one day he comes upon something strange—a perfectly circular bed of dry leaves and in the center, what looks like the face of a sleeping woman. As he steps toward her, the leaves swirl away from his feet, even though there is no wind. Ivan convinces himself that he is imagining things and gets out of there as quickly as he can. But the place haunts his dreams. He and his family make it to America, but Ivan cannot forget the circle of leaves and the strange, beautiful face at the center. One day, ostensibly to work on his dissertation in Old Slavonic literature, he returns to Russia and, finally, the circle of leaves. There really is a woman there, so beautiful that Ivan kisses her as she sleeps. That turns out to be a problem, because the moment he does a huge snarling bear rears up out of the leaves. The princess opens her eyes and offers Ivan the only alternative to their both being eaten by a bear: ask me to marry you. Not surprisingly Ivan agrees. It saves them from the bear—for the time being—but Ivan’s betrothal with this Russian princess of the year 890 C.E. turns out to be no picnic for either of them. Katarina scoffs at his clumsiness with a sword, but she gets her chance to experience culture shock when they go to his time and she takes her first ride on a jumbo jet. Add to this retelling of Sleeping Beauty a jealous ex-fiance and a truly evil witch, and you have a wonderful adventure with a love story that is equal parts hilarious and tender.